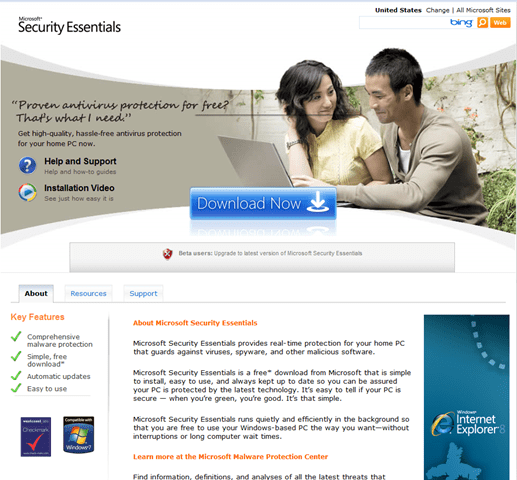 Microsoft’s brand new anti-virus application just went live and are available for download. I am downloading as I am typing this, and will post my review of this application shortly. If Microsoft has pulled this one off (which I assume they have, based on initial feedback from other reviewers and bloggers) they have changed the security application software landscape significantly. Offering a free alternative AV application from the OS vendor itself will make life (read: business) a lot harder for the likes of Symantec and others. For the average user I think it will be much easier to just download and use the free Microsoft product than buying a license from another provider. Time will show, but I think everything just changed. You can find my review here later this week.